NEW: Sign up for my email list so you never miss any recipes! Hi there. Apologies for being away – I went to Hawaii for a week with Brian and my parents to celebrate a big birthday for my mom! I had intended on posting while I was there, but I realized that sometimes it’s better to just step back and take a breath; to reflect and recenter. A lot of things have been happening recently both life and career-wise, and I decided to take the opportunity in Hawaii to just take a real break from everything. I don’t think we do that enough anymore. Whether through email, social media, texting, snapping, blogging, even watching TV or reading the news, it seems we are ALWAYS connected and always juggling a million items on the to-do list. Personally, I don’t think I take enough time to slow down and reflect on things, or to disconnect entirely at any point in the day. So, while I was in Hawaii, I made a conscious effort to just let go. I actually read a couple books (ok, it was on my iPad), and even left my phone in the hotel room (it was difficult). I’m embarrassed to admit how long it had been since I’d read anything that wasn’t an online article or email. It’s sad. But I remembered how much I enjoy reading for pleasure, and how much I miss taking the time to focus on just reading one story for a few hours without being bombarded by notifications and emails. I decided while I was there to recommit to reading: one book a month is attainable I think, even if I only take a few minutes each day. Next on my list is Big Little Lies by Liane Moriarty (so I can have more context for the show). Let me know if you have recommendations! On a similar note: how is it March already? I think a side effect of our constant connectivity and “busyness” is that time actually escapes us. I often start to do one thing, then get an email or alert and go to that thing, then get another alert or text and look at that, and then…before I know it, hours have gone by and I don’t know what I accomplished. It’s not a productive way to spend the day, and it adds up over time. I’ve always been most productive late at night (it’s 12:39am as I’m writing this) and I always thought it was just a personal quirk – but now I think it’s because late at night, no one else is awake, I’m not getting a barrage of emails and texts and news alerts, and the world is finally quiet enough that I can focus. The more I think about it, the more I realize how serious a problem this is. The more time lost during the day due to overwhelm, the less time I have at night to disconnect from the overwhelm, and then the cycle continues. Usually resulting in less sleep for me. I’m thinking about these issues in sharper focus now because I’m actually starting a new full time job next week, as an in-house counsel. I’m excited, but I also know that I need to become as efficient as possible with my days so that I can spend my nights and weekends on this little blog. I don’t plan on anything changing for you, dear readers, which means I will need to get better about managing my time effectively. Any tips in that regard will be most welcome. Ok, enough about my pseudo-ADD. 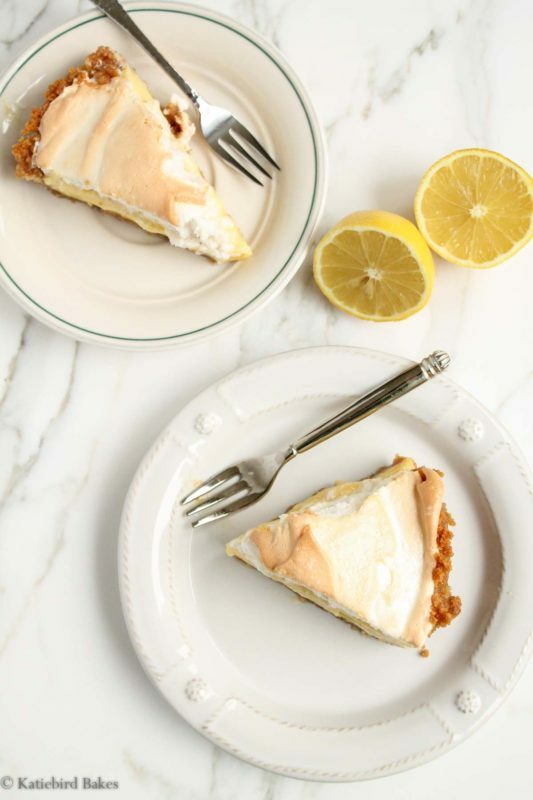 Let’s talk about something far sweeter – this Lemon Meringue Pie. This is a humble, simple pie that packs a big flavor. The total amount of ingredients are shown above. This is a pie I grew up eating because my dad grew up eating it too. The recipe comes from his mom, my Granga, and it’s a winner every time. Well. Needless to say, we had Granga’s recipe from then on. It’s insanely easy, and the results are delicious every time. Granga passed away when I was young, but I like to think that she’s smiling down on me every time I make this pie (and I think she’ll forgive me for tweaking it, just a little). The big game changer in this pie is using sweetened condensed milk instead of cooking a custard. Is it going on be on the list of “healthiest superfoods” anytime soon? Nope. Is it completely delicious and fine to eat in small quantities once in a while? I say yes. 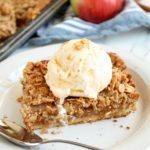 The other unusual aspect of this pie is the graham cracker crust. Granga’s recipe called for a store-bought crust (my mom always used those Keebler ones in the baking aisle growing up). But, you know me well enough by now to know that I’m going to make my own crust. 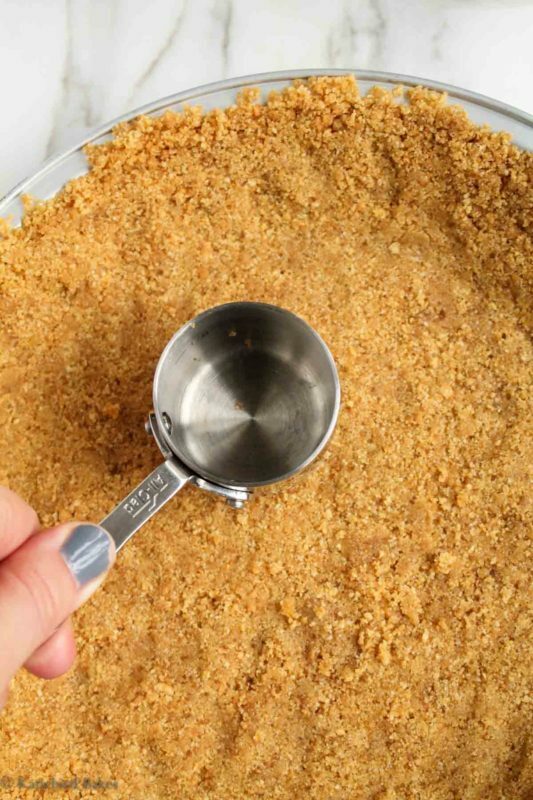 Graham cracker crusts are a snap to make. You can crush graham crackers yourself or buy the pre-crushed crumbs (I buy the crumbs), mix with melted butter and a little sugar, and press into the pie pan. I use the bottom of a measuring cup to compact it. Then all you need to do is bake it for a few minutes, and while it’s baking whip up the filling – egg yolks, the sweetened condensed cream, lemon juice and zest. Granga’s recipe calls for commercial lemon juice, and while it’s fine in a pinch, I prefer to use real lemons. Adding their zest takes the lemon flavor up a notch! I use a microplane zester, which is one of the best tools you can have in the kitchen. It gets the zest off without the bitter pith underneath. Spread that gorgeous meringue on top of the custard, bake it (watch carefully to make sure it doesn’t burn), chill for a couple hours in the fridge, and voila! A super impressive pie. I love the browned color the meringue gets. It’s so pretty! I think this is a great dessert to make if you’re having people over. You can make it ahead (I’d recommend no earlier than 12 hours) and it looks so impressive. All your friends will think you’re a kitchen genius, and no one has to know just how easy it really is. All part of the plan. 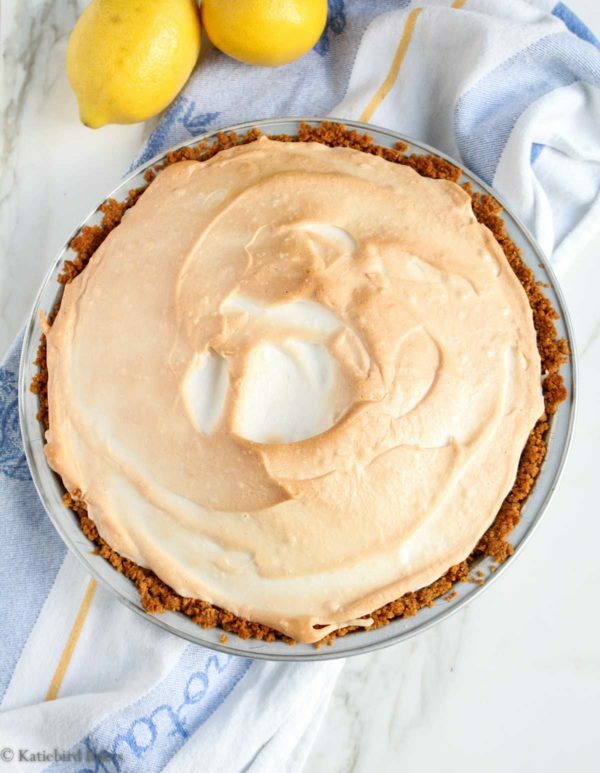 A sweet, creamy lemon meringue pie made with an easy graham cracker crust. 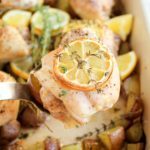 A simple recipe to brighten up winter months, or any time of year! 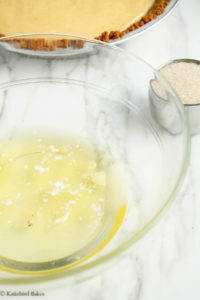 Make the crust: Place melted butter, graham cracker crumbs, sugar, and salt in a medium bowl and stir with a fork until fully combined. Press mixture evenly into a 9-inch pie pan, spreading it up the sides as well. I use my hands and then the bottom of a measuring cup to make sure it's really compacted. Bake for 12 minutes, until golden brown and smelling delicious. Cool for a few minutes while you make the filling and meringue. Make the filling: In a large bowl, beat together egg yolks, condensed milk, lemon juice and lemon zest until creamy and completely smooth. I do this with a whisk or a fork, but you could do it with a mixer too. Pour into cooled crust and smooth out with a spatula. 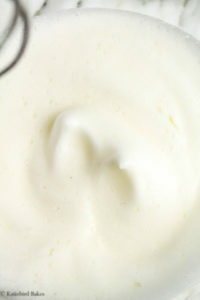 Make the meringue: In a very clean medium bowl, beat egg whites and cream of tartar together with a hand mixer (or the whisk attachment on a stand mixer) until soft peaks form. Gradually add sugar while continuing to beat at medium-high speed, until stiff peaks form. 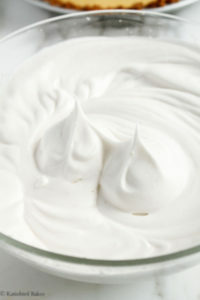 Carefully spread meringue evenly on top of the filling. Spread the meringue to the edge of the pie to seal and make sure there are no holes or gaps; this helps keep it from shrinking and separating while baking. Bake pie for 15 minutes, or until the meringue is golden brown. Cool completely before serving - this pie is best served chilled. Keep leftovers in the refrigerator for up to 3 days (though it is best on the day it's made). *Note: I recommend zesting the lemons before juicing them - it's much easier. Here is the microplane grater I use to zest citrus. Love the recipe, however, my filing was runny. How do I prevent that from happening? I want the filing to be solid. Not sure what I did wrong. Hi Sharon – I’ve never had an issue with the filling being runny. Are you sure you used all the correct ingredients and chilled the pie fully? I find it needs several hours in the fridge to fully chill. Hope that helps! Mine was also runny, and it was like simple syrup. I think 1/3 cup of sugar in the meringue is way too much. It seemed that the sugar “fell out” of the meringue and sat as a syrup in between the meringue and the filling. I also thought adding sugar to the graham cracker crust was unnecessary. Overall the pie was too sweet. I’m sure it would be fine without sugar in the crust and very little if any in the meringue. 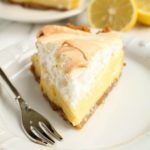 I realize this is an old post; I kind of stumbled upon it and after reading your story about your parents dating and the lemon meringue pie, I just had to comment. 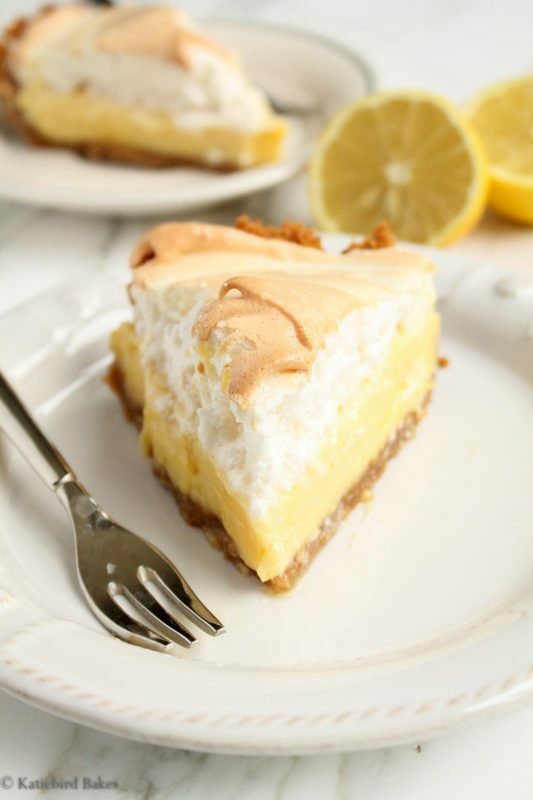 My dad’s favorite dessert was lemon meringue pie, and like your father, he loved the variety made with your recipe. One night, when I was a child, I stayed home with a babysitter while my parents went out with another couple. Apparently, at some point during the evening, my dad mentioned lemon meringue pie was his favorite dessert. 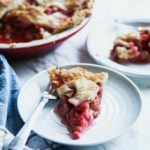 A couple months later, my parents went to dinner at this couple’s home, and remembering what my dad had said, the wife made a lemon meringue pie for dessert – except it was the “standard” variety; flour pastry crust and lemon custard filling. My father ate a piece (he was polite!) but mentioned multiple times over the next few days how “tasteless” it was and how my mom’s recipe was just SO superior! 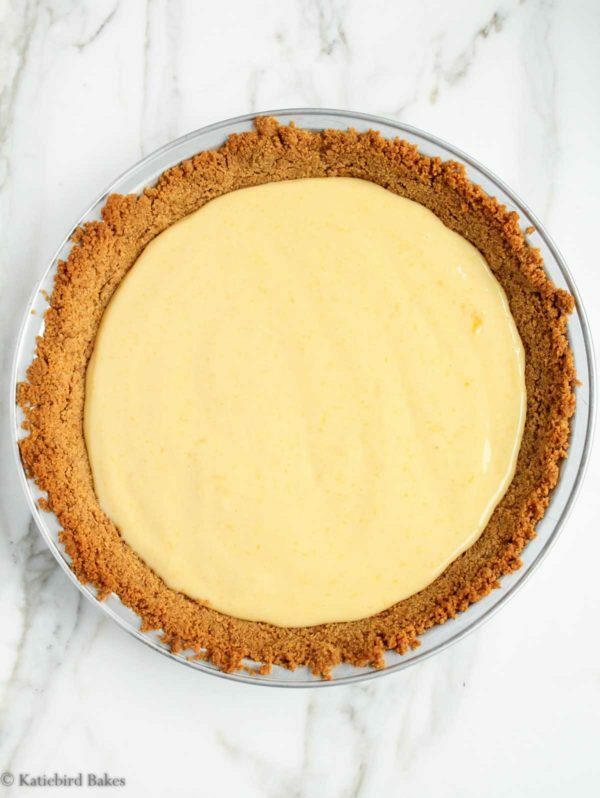 I was brought up on this pie, and I have to agree; I think the graham cracker crust compliments the filling much better, and IMO, the filling has a lot more lemon flavor than the custard type. Seeing this post got me thinking how yummy this would be (and cute!) if I could make individual lemon meringue mini pies in a muffin pan. But I can’t quite work out what I can use to make the sides of the crusts in the wells of a muffin pan (and I don’t want to have the crust just on the bottom). Wow, thank you so much for the thoughtful comment! I love that your dad had the same reaction to “normal” lemon meringue pie. My dad will laugh when I tell him! I think you could make this in a muffin tin – just pack the crumb base tightly on the bottom and halfway up the sides of each muffin cup. Then I’d bake for 8-10 minutes, then fill each cup with the filling and top with the meringue, and bake for 10-12 minutes until the meringue is browned. It may be a little messy to get them out but it’s worth a shot! You can also buy mini tart pans and try making them in there. They have removable bottoms which would make it easier to get out. Let me know if you try it! I am worried about not cooking the eggs. Do the yolks get hot enough when baked in a pie for 15 minutes? 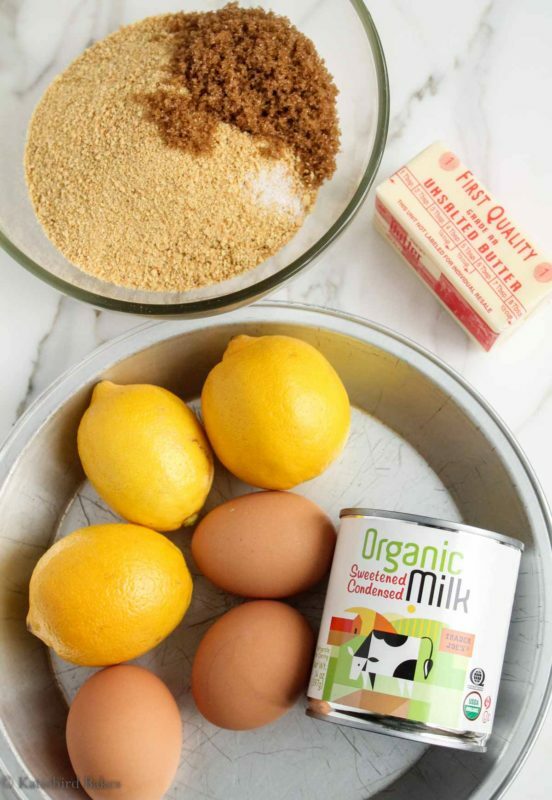 The addition of sweetened condensed milk in a lemon pie sounds so good! Hi Nancy – I have not had any issue with the eggs not being cooked when making this pie over the years! Can you bake your crust,if it’s a store bought cramb cracker crust for your lemon ice box pie. 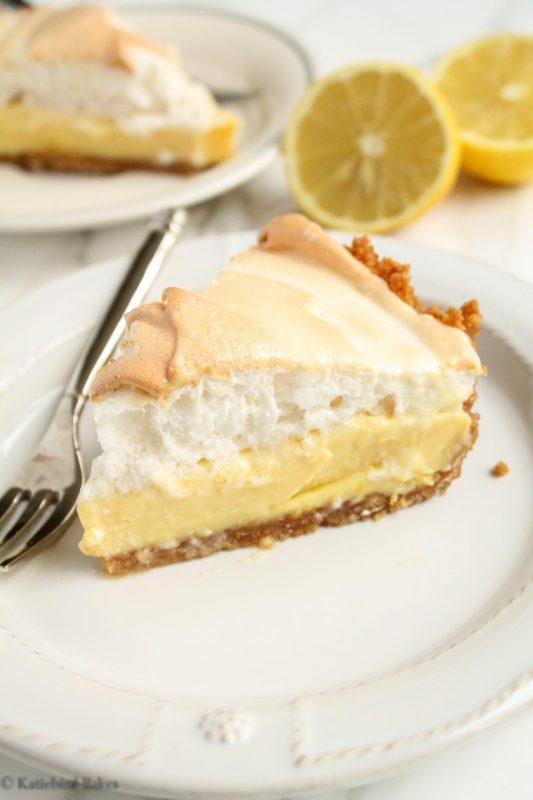 Hi Edna, if you’re using a store bought graham cracker crust, no need to pre-bake it – just fill with the lemon filling, top with the meringue, and bake! My concern is about the egg yolks not being cooked. I hope you can help me think through this. Hi Barbara – the yolks get cooked when the pie is baked! You bake the filling and meringue at the same time. Let me know if you have any other questions! Thanks for reminding me of Anne. Anne would love your modifications …. When she showed me how to make it (I was about 10). We made a home made graham cracker crust. It was very much like what you shared. And we used the juice of two fresh lemons. So, same modification. So your Granga would be very proud of you indeed. For this recipe you shared with everyone and for the wonderful and accomplished young woman that you are. Hi Aunt Deb! Thanks so much for your kind words. 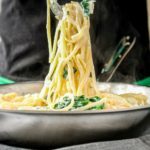 I love the recipe and hope others will try and love it too in her memory!